The first quarter of 2018 has officially come to an end and we witnessed a myriad of new smartphone launches. However, Motorola has been absent from the scene and is yet to show off its smartphone lineups for the year. To start off, Moto G6 will be the first smartphone from the company to feature the modern 18:9 aspect ratio display. The device will sport a new 5.7-inch Full HD+ screen, which will be marketed as a Max Vision due to its taller design but the rear will bring along a similar 3D glass back as the Moto X4. The device is expected to be powered by a 1.8 GHz octa-core Snapdragon chipset, there is no info available on the RAM and storage configurations but 32GB is certainly an option. The fingerprint sensor has been moved to the front, allowing you to assign gestures to control your G6. There’s also a decent 3,000mAh battery pack and TurboPower charger, which is going to make it simpler for you to keep your phone juiced up. As for the optics, the Moto G6 will follow the ongoing trend and feature a dual-lens camera setup. The details of which are also unknown, but we know that an 8MP front camera is going to be available for your perfect selfie shots. You’ll also get access to face masks with this new variant of the Moto G lineup. While we may not know the exact specs of the rear camera, the product listing gives us enough info on the smart features coming in tow with the Moto G6. You’ll easily be able to capture bokeh shots, add a splash of color to monochrome photos with selective black and white feature. The integration of AI will enable you to recognize landmarks, objects and scan text directly from within the native camera app itself. The device will also integrate a fully-featured Manual Mode, Beautification Mode, and the trendy Face Unlock feature. 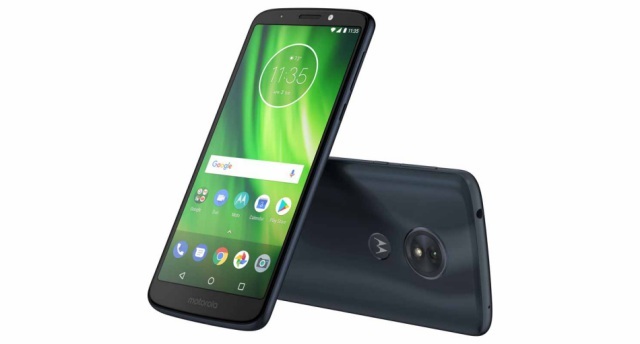 Coming to the more affordable variant, the Moto G6 Play will also feature a similar 5.7-inch Max View display but the resolution will be dropped to HD. This device will be powered by a 1.4GHz quad-core Snapdragon processor, coupled with at least 2GB/3GB of RAM and 32GB of internal storage. The Moto G Play lineup, as we know, has always been particularly focused on battery life. Therefore, the latest leak suggests that Moto G6 will sport a 4,000mAh battery pack to power the device and provide you up to 36 hours on a single charge. The included 10W rapid charger gives you hours of power in just minutes of charging, says the product listing. OIn the optics department, the Moto G6 Play is expected to feature a 13MP camera on the rear, with phase detection auto-focus (PDAF), quick capture, best shot, manual, and beautification mode. The camera on the front is expected to be a 5MP that a lot of people might find not quite enough, but there is an LED flash on the front. The AI camera features seem to be missing on this device since it places a major focus on battery life. 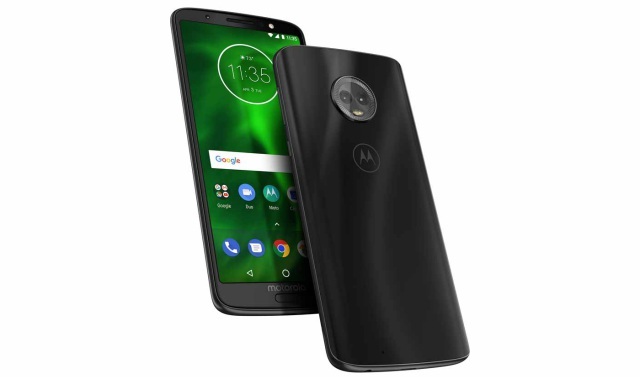 There is currently no concrete word on the official launch date for the Moto G6 lineup, but the devices are expected to hit stores in late April or May i.e in the next couple months. 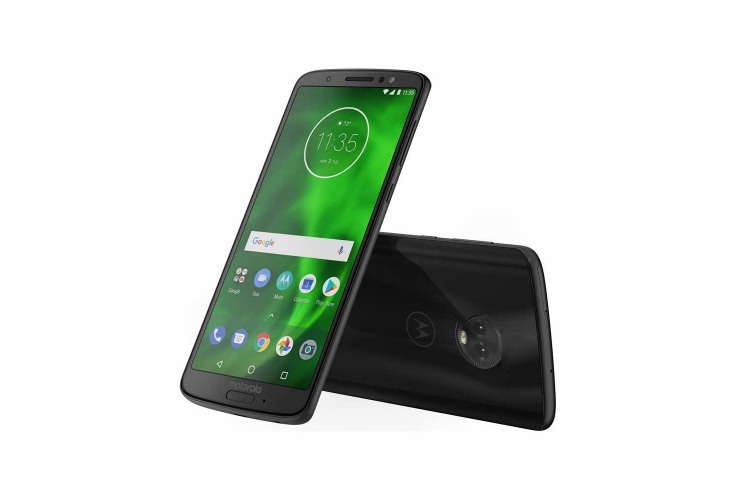 If the product listing of both these devices are to be believed, then the Moto G6 will cost you $250 while you’ll have to shell out $200 to get the Moto G6 Play. So, are you excited for the launch of the Moto G6 lineup? Let us know in the comments below.